What other inference can one draw when majority of BC residents, as well as Canadians, support Kinder Morgan pipeline project? The CBC summary of results is drawn from an April 18, 2018 Angus Reid Institute report titled: Pipeline Problems? Try Tanker Troubles: BC Kinder Morgan opponents want spill response assurances. A related analysis by Ian Holliday is also available on the Angus Reid website: On Kinder Morgan: Canada is divided, Alberta is not, and everyone has a lot to lose. Speaking for myself, these poll results are worrying. As one who invests considerable time and cognitive energy in researching the potentially existential threat of climate change to all life forms on this planet, my takeaway from this CBC story, and accompanying Angus Reid reports, is that those Canadians who support the Kinder Morgan project are woefully uninformed/misinformed about the environmental, health, and economic risks associated with the construction of this pipeline. 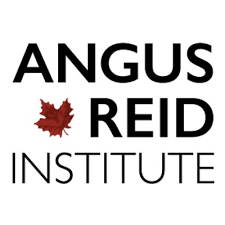 It’s a pity that the Angus Reid poll did not include a demographic profile of the respondents, including, for example: education level, occupation category; age; gender; income level; province or region, primary news and information sources, and self-rating on a scale of climate science knowledge. This type of information could have helped environmental NGOs to tweak their public education efforts. Below is my repost of the CBC News story, including my added subheadings and text highlighting. Alternatively, read the story on the CBC website by clicking on the following title. Support for the Kinder Morgan project has risen to 54 per cent in B.C. A new poll says more than half of British Columbians now support the Trans Mountain pipeline expansion project, with the number of backers rising even as the provincial government digs in its heels on the battle to stop the project from moving forward. Support for the Kinder Morgan project has risen to 54 per cent in B.C., according to the Angus Reid Institute — up six per cent from February. The online survey, conducted with 2,125 Canadian adults on Monday and Tuesday, found that those in favour are spread across the province: about half of respondents in Metro Vancouver and on Vancouver Island said they would support the project, with the number rising to 60 per cent in the rest of B.C. The approval, according to the poll, doesn’t mean British Columbians don’t have concerns. A new poll from the Angus Reid Institute found British Columbians are still worried about the risks associated with a tanker spill in the inlet. (Jonathan Hayward/Canadian Press). Asked to say which potential risk worried them most, more than half of respondents — both those opposed and in favour of the project — chose an oil tanker spill. West Coasters were split three ways when it came to weighing environmental risk against economic gain: 35 per cent said risk outweighs benefit, while the same number said the exact opposite. The remaining 30 per cent said the risks and benefits are equal. On Monday, Alberta introduced legislation that would allow the energy minister to use export permits to control how much and what products truckers, pipeline companies and rail operators can ship. The province says it might use the legislation to fire back at B.C. if it continues to block the Trans Mountain pipeline expansion in the courts. In turn, B.C.’s attorney general is threatening to sue if the new law causes gasoline prices in B.C. to skyrocket. The dispute between provinces, which has been at a fever pitch for weeks, is headed for a showdown on May 31 — the date on which Kinder Morgan Canada has said it might cancel the $7.4-billion project unless it is convinced it will be allowed to proceed. Prime Minister Justin Trudeau convened a meeting with B.C. Premier John Horgan and Alberta Premier Rachel Notley on Sunday, after which he asserted that the pipeline would get built. For the Angus Reid poll, respondents were asked to weigh in on how Horgan, Notley and Trudeau have handled the ongoing battle. All three politicians received mixed reviews, but more Canadians said they thought Notley was doing a good job. The opposite was true for Trudeau and Horgan. Sixty per cent of British Columbians and 71 per cent of Albertans said the prime minister has done a poor job handling the file. Nationally, more Canadians said they were losing overall patience with the B.C. government’s delay tactics — two in three said B.C. is wrong to try to stop the pipeline from moving forward. The poll also found that Alberta’s threats against its western counterpart have been but a blip on the radar for the project’s longtime opponents in B.C. — nearly half said they would “stand firm in trying to block the pipeline,” regardless of the threats. The majority of British Columbians said the provincial government should throw in the towel if the courts say it doesn’t have the constitutional authority to stop the project. 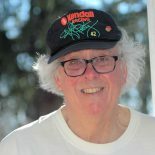 This entry was posted on April 19, 2018 by fjwhite in information counterpower, political action and tagged John Horgan, Justin Trudeau, Kinder Morgan pipeline, opinion polls, Rachel Notley, Trans Mountain Pipeline.